As few as four small areas of rubber can make such a different to your journey. 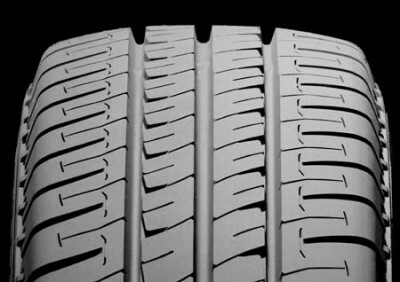 Here’s why you need to keep an eye on your tyres. Safety, stability, performance and handling, fuel economy… your motorhome tyres play a critical role in all of these. Did you know that, in 2013, nearly 1,000 road casualties were a result of driving on illegal, defective or under-inflated tyres? 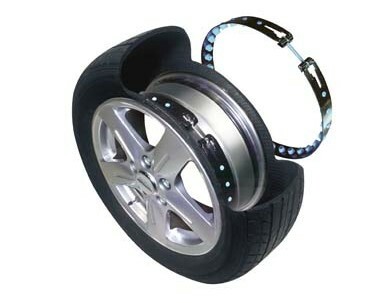 But, motorhomes are different to other vehicles, so their tyres need to be different, too. For example, a typical coachbuilt could do as little as 4,000 miles a year – and, although it’s very much a touring machine, it’s going to spend a long time sat stationery, possibly in many weather extremes. For that reason alone, it’s more likely that the appearance of cracks on the sidewalls of your tyres will be the first sign that they need replacing. No matter the mileage and/or apparent condition, consider changing your motorhome tyres every five years. And if you want to know how old your tyres are, look for the four-digit code on the side – 01 09 means the tyre was made over five years ago, in January 2009 – it could be time to replace! 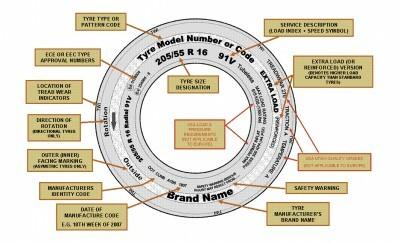 Diagram courtesy of Tyresafe. Click to see a larger image. As well as regularly checking your tyre pressures (not forgetting the spare), and making changes if required depending on your load, a simple visual check with a tyre depth gauge (£4.49 from Halfords, but others are available elsewhere) will suffice to ensure you stay within the 1.6mm minimum around the whole circumference across the central three-quarters of the tyre that’s allowed to pass your MoT. Note that’s for vehicles up to 3,500kg. For motorhomes over 3,500kg maximum weight, the figure is 1mm. Get the app Want to know your sipes from your grooves? A free-of-charge app that offers comprehensive tyre safety advice – ranging from how to check your pressures to where to find your nearest fitters – is available at Apple’s iTunes and Google’s Play stores. P.S. Sipes are thin slits cut across the tread to help grip in wet and icy conditions. 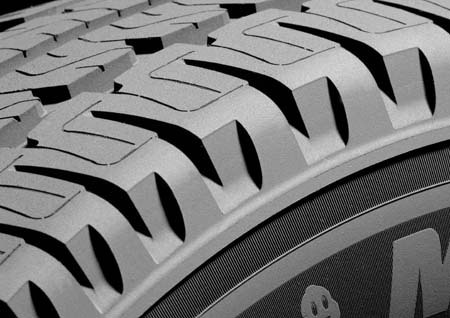 Grooves are just that, the main pattern of the tread. Will changing my tyres affect my insurance? If you’re a Caravan Guard customer, upgrading your motorhome’s existing tyres will not increase your insurance premium. A new set of alloy wheels could, however significantly increase the overall value of the motorhome so it’s important to notify us of any upgrades. In Camping format, Michelin’s Agilis tyres were designed to cope with the higher pressures needed for motorhome tyres, as well as heavier load carrying capabilities. 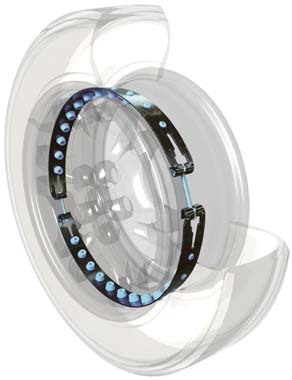 As well as a specially reinforced construction allows for the higher pressures needed for motorhomes, also promising greater durability, while extra sidewall protection also takes into account the fact they typical motorhomes can spend long periods parked up. Michelin says these tyres are suitable for use in all seasons. A variety of sizes for 15in and 16in wheels is available. Check out the Michelin website for further details. It may only be a metal bend that’s fitted to the centre of the wheel well, but this is a potential life-saver. It works to keep the tyre on the wheel in the event of a blow-out at speed, also allowing your vehicle to steer, brake and handle appropriately until it’s safe to pull over. Check out the short video on the Tyron website. Chances are, you’ll find Tyrons for sale at your local motorhome dealership, too. Tyrons now come with special sections that mean they can fit around the in-wheel sensors used by a TPMS (tyre pressure monitoring system) – which means even great peace of mind. There’s more information on the Tyron website. *Tyresafe Leading tyre safety organisation. *National Tyre Distributors Association Represents tyre retailers. *Tyrepal Manufacturer of Tyre Pressure Monitoring Systems suitable for motorhome use. If your motorhome isn’t being used for long periods, consider jacking it up – alleviating the weight will help avoid deformation. If you’re travelling through the off-season and expect to experience severe ice and snow conditions, seriously consider winter tyres. Check out our recent winter tyre guide for more information. Caravan Guard Gear Guides aim to give you an introduction to a specific product sector. But, we’re always keen to hear from you if you want to share your experiences or advice with other Caravan Guard fans. Scroll down to add your comments. Get a quote for your motorhome insurance from Caravan Guard here. Tyres and pressures are the most important things to check regularly on your motor home.A very costly piece of rubber on each corner.I have a Rapido A class,over 3500 kg,I have had two blowouts in France,both Michelins,when the sidewalls have split,still loads of tread on and no sign of cracking on sidewallsI have now upgraded to Hankook Cargo tyres,with stronger 116/118 sidewalls,brilliant tyres and I think better than Michelin.Michelin tyres are not the bees knees,search on Internet,there are better. Thanks for the recommendation Vian! I guess it depends on which motorhome you choose! Tyres aren’t the cheapest of things but they are a Great long-term investment. We most things, you get what you pay for so it’s always worth spending what you can for the best possible performance. I have Michelin Camping tyres on my Autcruise Agusta but I’ve noted that OEM Michelins last much longer than replacements, I think Michelin deliberately supply quicker wearing tyres once they have you on the hook….. Don’t play their game alternatives are available! Its tested at an HGV centre by the same tester who is very thorough with the tyre at my request. He does not agree with the 5 year rule, and thinks its a ploy by tyre manufacturers.. He gives the scenario of tyres sitting in warehouses for perhaps years. I rely on his opinion, but this 5 year rule does worry me.. I have seen the damage a blowout causes to motorhomes and caravans. So which way do you go? Many thanks for getting in touch. 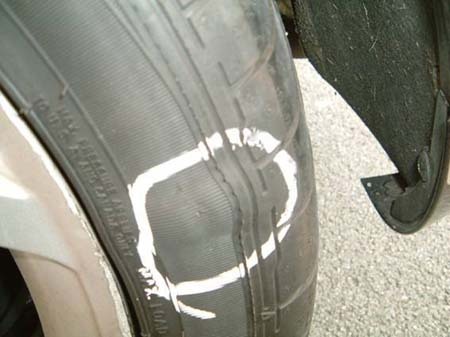 Tyre ageing and damage can be more common with motorhomes, caravans and other vehicles only used occasionally. 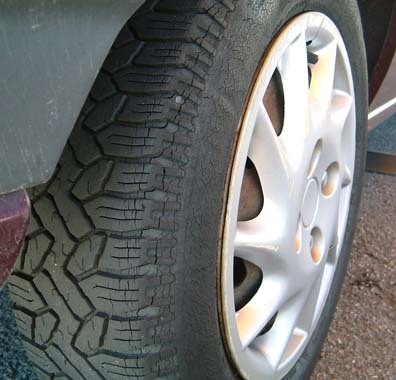 The AA recommends that you check for signs of cracking on the sidewalls of tyres that are four or five years old if your car – or in your case motorhome – is parked outside. If you’ve already spoken to professional perhaps you could seek a second opinion? It’s always worth getting as much information before replacing your tyres.